Soak paneer pieces in hot water for 5 min to soften the paneer. Drain. Microwave peas with little water for 5-6 min (until soften). Drain. 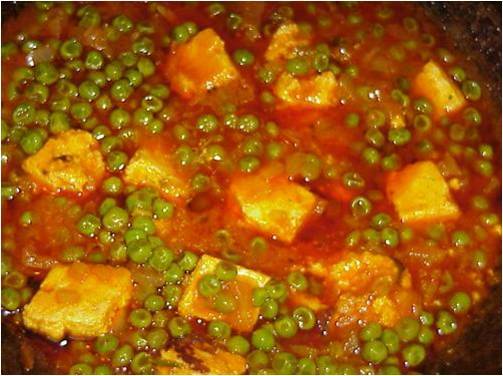 In a cooking pan, Mix Peas, Paneer and Sauce. Add one jar of water. Cook for 10-15 minute (until boils) with occasional stirring. Serve hot with warm Basmati Rice or Naan Bread. Add cut-up Paneer (or Tofu) to sauce and simmer for an additional 5-10 minutes. Serve with Indian flat bread (Naan) or Basmati rice. Basmati rice is more traditional but any white rice works well.